Basement walls aren’t only walls. It gives definition to what the area is. 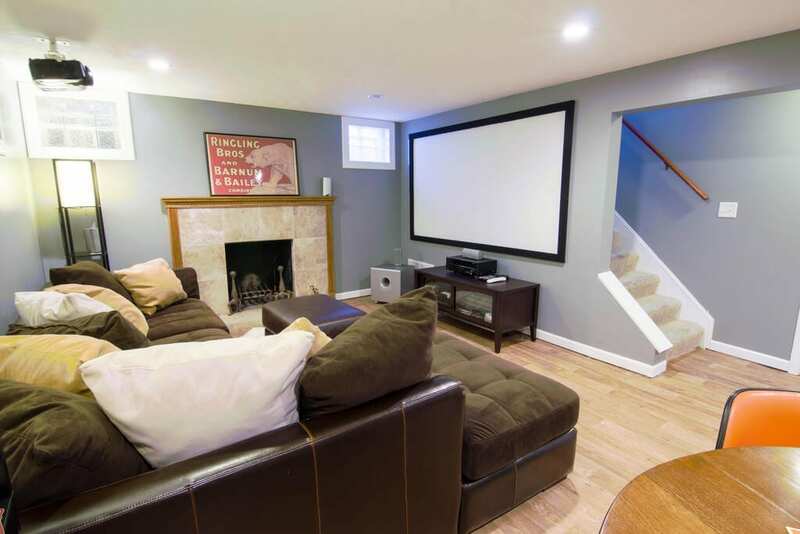 Without walls, a basement fails to provide the comfort and security that your house needs. Truth is, not all basements are created equal. Each basement type is unique. It uses different wall materials during the time of construction (Basement Systems, 2016). Most of the time, poured concrete foundation walls are less than 8 ft. tall and 8 in. thick to outside soil that is 7 ft. deep (Ask The Builder, 2016). Wall thickness increases as the outside soil gets deeper. Basement walls are different. The recommended materials need to be durable and quality. To let it stay dry, comfortable and contaminant-free, it requires professional waterproofing done by experienced contractors. Yet, nothing is guaranteed. The basement concrete walls are designed for supporting the weight of a house. This is the reason why these are constantly challenged by backfill loading (Composite Panel Systems, 2016), which offers little to no resistance to heat flow. FACT: A minor basement crack of a ten-year-old house might progressively worsen over the next five years, resulting to wall failure. Concrete walls often crack due to ground shifts and water pressure. These cracks result to leaks and mold growth. If a basement has no cracks, its concrete walls remain porous. Too much porosity results to dampness, unpleasant odor and unhealthy environment. Unstable soils are basement’s worst enemy, whether it’s an expansive clay or compressible or improperly compacted fill. These soils create a sneak attack that leave foundations unevenly supported. A basement leak is commonly caused by non-structural crack in a poured concrete wall. It’s either the lateral pressure or dropping of the foundation (US Waterproofing, July 2014). Injecting polyurethane (which expands) is the best way to permanently repair a wall crack. This polyurethane fills and seals the crack out to the soil. It stays flexible when cured to prevent minor foundation movement from re-opening. Inaccessible interior crack is repaired with sodium bentonite clay. This ingredient is filled to a hole at the crack site. The clay forms a pliable yet permanent barrier on the positive side of the foundation. There’s a small gap between the foundation top wall and the sill plate of the above ground. Negative grading and improper slope structures such as decks and patios cause rain water to run toward the house. It enters the basement through this opening. Seepage from mortar joints, porous walls and top wall should be installed with exterior waterproofing membrane. These membranes require an exterior drain tile to carry the ground water away from the foundation to a sump pump. As for the cracks, better patch them with a sealant. Then, check the floor for other types of cracks that may cause water seepage (HGTV, 2014). If the foundation is severely cracked, it’s best to consult an experienced Vulcan Waterproofing contractor. There are two ways of wall insulation. First is the exterior basement insulation. The goal of this insulation is to provide more interior basement space. It allows the builder to install an uninterrupted layer of rigid foam from the footing to the rafters. Interior basement insulation provides an uninterrupted connection between the below-slab and the wall insulation. It prevents the hassle of above grading. Experts say insulating on the interior makes more sense than insulation from the exterior. The concrete wall waterproofing applies coating with a heavy brush made of tampico bristles. Yet, for walls without paint, the application of silicate-based concrete sealers is applied. A waterproof paint is for do-it-yourself application. It’s applied over painted wall surfaces. The plastic sheets and panels work perfectly with interior drainage systems. All basement wall types need maintenance. Regular maintenance protects it from thermal movement and drying shrinkage. – Always check if the footing drains and underground pipes are installed properly, which carry water away from the foundation. – Stay clean and keep it dry always. Make sure you keep it free from dusts, molds and mildew. – Whenever there’s a crack, regardless of the size, fill it up with low pressure epoxy or polyurethane foam. – Invite a professional for a free inspection. Finishing a basement wall requires time; therefore, it’s a serious job. Framing and finishing a half-masonry and half-wood frame need basic carpentry skills for framing. A hammer drill is needed for concrete fasteners. – Get ready with a plan. This plan needs to include wall and window dimensions, door sizes and special features such as fireplaces. – Make sure all large windows have fire safety features. Take time to measure the finished ceiling height. – Sketch the details of the exterior wall construction. Hire an architect if needed. – Call a waterproofing expert to repair leaks and cracks. The ventilation system and perimeter drainage need to function well. – Never forget the proper remedies for wet basements. Make sure to reroute downspouts, to re-grade slopes away from foundation walls and to apply water-resistant paints to interior surfaces. Need help? Call (877) 885-2268 today. Vulcan Waterproofing opens its professional services to all residential and commercial establishments in New York, Connecticut, New Jersey, Delaware and Pennsylvania.